AllyO is an AI technology company based in Silicon Valley. It was founded in 2016 with a simple mission – make recruiting delightful and efficient for everyone. It is backed by leading investors such as Google, Randstad Innovation Fund, Bain Capital Ventures and Cervin Ventures. 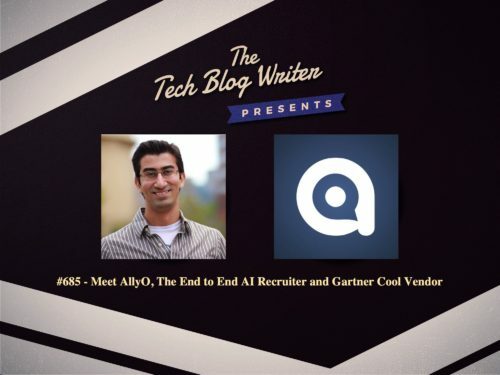 AllyO addresses the traditional inefficiencies of lost applicants and conversions due to poor candidate experience, high cost of recruiting due to overburdening of menial tasks on hiring teams, and lack of visibility and control for HR leadership. It is re-inventing recruiting by bringing the recruiting process to the applicant rather than taking the applicants to the recruiting process. The startup utilizes deep workflow conversational AI to fully automate the end to end recruiting workflow by intelligently engaging through texting over mobile and web. It enables conversational job matching across all talent acquisition channels, intelligently qualifies the candidate specifically for the best-fit role, automates interview scheduling and post-interview interactions, drives retention through post-hire check-ins, and gathers actionable insights to improve overall recruiting performance. It is used by several large enterprises and has processed millions of applicant interactions to schedule over hundred thousand interviews. As a result, these enterprises have experienced 2-6X increase in applicant capture and conversion rate, 91% application completion rate, and over 50% reduction in cost and time to hire. On today’s tech podcast I chat to Sahil Sahni, co-founder of AllyO to discuss HR trends at large and machine learning topics. We also discuss their inspirational startup story that began in a shopping mall and ended with them to being recognized as a Cool Vendor in Human Capital Management for Talent Acquisition by Gartner.